Skin darkening may be due to several factors including extreme exposure to the sun, medication’s side effects, underlying medical condition, poor and unbalanced diet, hereditary issues, and even stress or depression. Some may not find it pleasant to have this skin condition, thus they are trying to find the easiest and most effective ways on how to achieve a lighter and glowing skin. There are over-the-counter products and remedies that can be used, however, it should be carefully checked as it may contain chemicals that are harmful to the skin. Instead, regular skin care practices and natural products are highly recommended in order to have that beautiful, youthful, and whiter skin. The glow and radiance of the skin can be achieved through simple yet effective ways. Before using any recommended natural home remedies, you can first regularly practice these skin care habits. The body needs exposure to the sun to be able to produce vitamin D, which is essential in bone health and other bodily functions. However, you should not completely expose yourself for long as it may lead to several health problems, as well as dark skin. Always use sunblock, with high SPF, to effectively block the UV sun rays and prevent skin darkening and skin diseases. Use hats with wide brims to protect your face, neck, and shoulders against too much exposure from the sun. Wear clothes that can cover a big portion of your body, such as long-sleeved shirts and pants. During summer, choose clothes with cool and flowy fabrics for more comfort. Exfoliation is an essential habit that will brighten your skin, especially for the face. This will help you get rid of the dead skin cell. Use gentle body scrubs that are commonly composed of salt or sugar. Be sure to apply gently in a circular motion to prevent damages especially in fragile areas. Polish the skin by using a dry brush, made from natural fibers, to remove the dead skin cells. How to whiten skin? Moisturizing should be given emphasis since daily usage of moisturizers can brighten the skin. These will also prevent the dryness which is the main contributor of skin darkening. Creamy moisturizers should be chosen due to its lack of alcohol which only increases the rate of dryness of the skin. 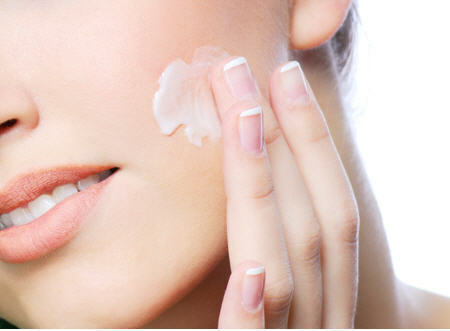 Moisturizers that are made of oil work wonders to the skin by making it look glowing and young. Some of the most common oils used include coconut oil, jojoba oil, almond oil, and olive oil. Honey is beneficial to the skin, not only that it whitens but it also moisturizes your skin. It also contains antibacterial properties that help prevent damages, especially in the sensitive skin. Apply enough amount of honey to your face, the same way that you apply a facial mask, before washing your face at night. This may be a bit sticky but will definitely lead to whiter and glowing skin. Lemon is rich in vitamin C which helps in normal cell growth and acts as a natural whitening agent. It also contains a chemical exfoliant known as citric acid that helps reduce dark spots caused by sun damage. Mix 1 tablespoon of lemon juice with 2 tablespoons of honey to make a paste. Apply to the skin for 30 minutes then rinse with water. However, the use of lemon should be done with caution. It can cause irritation to sensitive skin as well as with open wounds. It is advised to use this remedy at night to prevent the reaction from the sun. 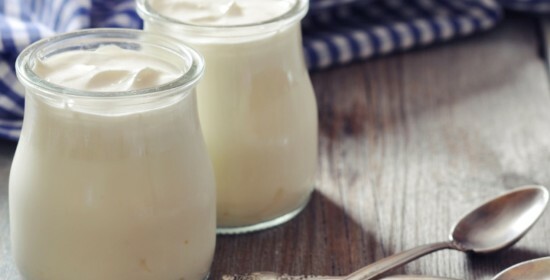 Yogurt contains lactic acid that is a good bleaching agent. It effectively lightens uneven skin tone and skin marks caused by pigmentation and pimples. The skin will also feel soft due to its softening properties. How to whiten skin with yogurt? Make a yogurt mixture by adding ½ tablespoon of turmeric to 1 tablespoon of fresh yogurt. Apply regularly on the face and allow it to stay for 30 minutes before rinsing. 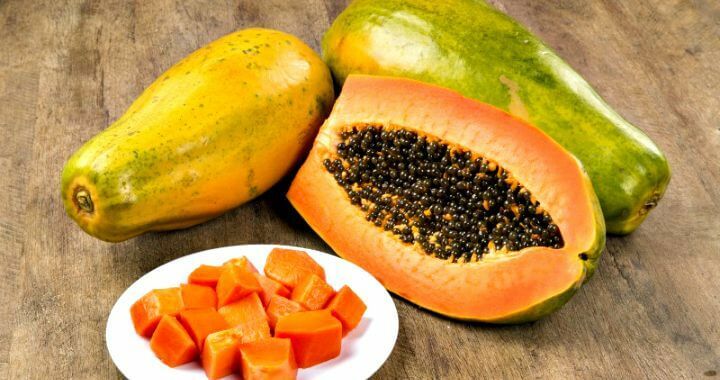 Papaya is a healthy fruit that can naturally lighten your skin due to its protein-dissolving enzyme. It can also fight acne and other skin-related problems. Also, papaya can act as a good exfoliator and moisturizer, making the skin softer and glowing. Mix 1 tablespoon of papaya pulp to ½ tablespoon of lemon juice to make a mixture that can clean and lighten the skin. Leave this on the face for about 20 minutes before removing with water. Aloe vera is rich in vitamins A, C, E, and antioxidants. These are essential in protecting the skin against free radicals and damages, improving the skin color and lightness, and reducing the signs caused by aging. Aloe vera can be used in the form of paste by combining 1 tablespoon of aloe vera gel to 1 tablespoon of lemon juice. Apply this on the face and neck and rinse after 30 minutes. Milk contains vitamin A, B3, and other nutrients that decrease skin damage and help in lightening the skin. The improvement in the skin occurs due to the capability of milk to shed the pigmented skin cells in the body. Mix 1 tablespoon of milk powder to 1 teaspoon of honey, and 1 teaspoon of lemon juice to form paste. It is then applied to the face for about 30 minutes before rinsing. For answering how to whiten skin, other than the skin care measures and natural remedies, you should also know the things that should be avoided to prevent further skin irritations and damages. Avoid dangerous products. Never use products with harmful chemicals, such as ammonia and bleach, since they cause long-term damages including darker skin. Avoid false beauty standards. Never be pressured by the standards of other people or the society. Accept who you are and embrace what you have.